the scope of the restriction is limited to what is reasonably necessary to protect the legitimate business interests of the company. 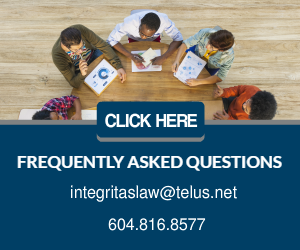 A recent decision of the BC Court of Appeal, IRIS The Visual Group Western Canada Inc. v. Park, 2017 BCCA 301, reconfirms the principles relating to restrictive covenants. IRIS, an eye care services provider, delivers its services and products to customers through optometrists. These optometrists provide services to IRIS as independent contractors. Dr. Park, an optometrist, entered into an Optometric Services Agreement with IRIS which set out the terms and conditions pursuant to which she would provide services to IRIS (the “Agreement”). The Agreement included a non-competition clause which prohibited Dr. Park from competing with IRIS for a period of three (3) years, whether directly or “in partnership or in conjunction with” any person or company “carrying on, engaged in, interested in or concerned with a business that competes with” IRIS within 5 km of the IRIS location where she provided the services. The non-compete clause also contained a non-solicitation provision. Dr. Park wished to set up her own practice and asked IRIS to release her from the non-competition clause, which IRIS refused to do. Dr. Park went ahead anyway, and started a practice within a 3.5km radius of the IRIS at which she had worked. IRIS then sought an injunction preventing her from competing against it pursuant to the terms of the Agreement. At trial, the judge held that while the non-compete clause was reasonable as to duration and geographic limit, it was broader than necessary to protect the business interests of IRIS and was accordingly, unenforceable. In arriving at this decision, the trial judge characterized the Agreement as being closer to an employment agreement, which warranted a heightened degree of scrutiny to determine whether the non-compete was reasonable as between the parties. On appeal, the Court of Appeal confirmed that when the enforceability of a non-competition clause is in issue, the burden of establishing that it is reasonable as between the parties is on the party who seeks to enforce the clause. To determine whether a covenant is reasonable between the parties, the first step that a court must take is to look at the context of the clause to determine the degree of scrutiny to be applied to the clause. In this regard, there is a distinction between non-competition clauses found in employment agreements and non-competition clauses found in agreements for sale of a business. Based on the context of the clause, the Court noted that the trial judge had characterized the Agreement appropriately as being more like an employment agreement because: (1) there was a power imbalance between the parties, that favoured IRIS; and (2) there was no “goodwill” payment as in a sale of business context. Park had no existing patient base. In terms of the scope of the non-competition clause, the Court noted that the Agreement already contained provisions to protect IRIS’ trade connections as it had a non-solicitation clause and also language which required Dr. Park to transfer her files to another IRIS optometrist upon termination of the relationship. The Court also noted that the non-competition clause was ambiguous in that it was not clear how one would determine whether an individual is “concerned with” a business that competed with IRIS and that it went beyond what was required to protect IRIS’ business interests because it also sought to prevent Dr. Park from engaging in work that did not compete with IRIS’ business. IRIS then asked the court to apply the “blue pencil rule” and strike out the unreasonable portions of the non-compete clause so that it would be enforceable. The Court declined, affirming prior jurisprudence that the courts will not rewrite an agreement for the parties where to do so, would not reflect the intention of the parties. A covenant not to compete is a restraint of trade and presumptively unenforceable. A restraint of trade will be enforceable if it is reasonable as between the parties and with reference to public interest. The burden of establishing that a non-competition clause is reasonable as between the parties is on the party seeking to enforce the clause. The purpose of a restrictive covenant is to protect the legitimate business interests of the employer. Therefore, a restrictive covenant should only be as broad as necessary to achieve this purpose. A restrictive covenant must be clear and unambiguous and reasonable as to length of time, geographic location and scope of activities that it seeks to restrict. Courts will not apply the blue pencil rule to “make” an agreement for the parties.